Hooray! 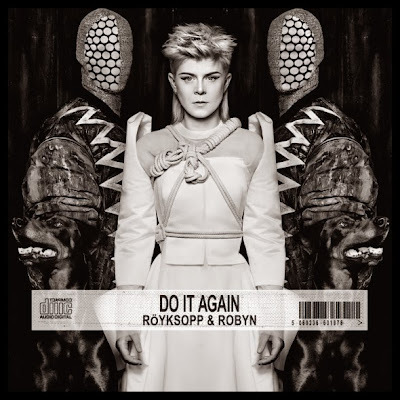 There is a new mini-album on the way from Robyn and Röyksopp. The cover art, which is hovering above this paragraph, bills the performers as Röyksopp and Robyn, but I think we all know the correct order - both alphabetically and in terms of importance. The two have collaborated before - most memorably on None Of Dem (slow-burning, introspective) and The Girl and The Robot (Madonna fed through a Commodore 64) - but this is something altogether more meaty. "In the beginning we just knew we wanted to do something together, and then it started to feel more like a band thing than songs for a Röyksopp or Robyn album, so we're releasing this music together as a band, you could say," said Robyn. "This five track mini-album is the accumulation and embodiment of the synergy between Robyn and ourselves," added Röyksopp, in an attempt to drain any potential excitement from the announcement. Monument is the first track we're getting to hear - via a 1'30" preview on YouTube. It sounds promising. You can pre-order it now, with delivery on 26 May. But the first single, Do It Again, is only two weeks away. "Hoo", as I said, "Ray".